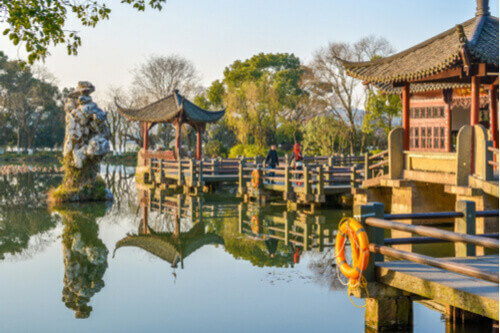 With its postcard-perfect landscapes and oodles of charm, Hangzhou’s appeal is different to other Chinese cities. 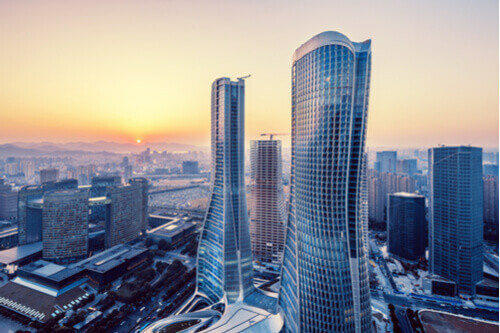 While it still features all the hallmarks of a typical metropolis, it also boasts beautiful natural scenery that attracts twenty million tourists every year, and is probably best known as the tea capital of China. The West Lake area, located in the centre of the city, is a lush oasis brimming with natural and architectural marvels and is the city’s most notable pull. 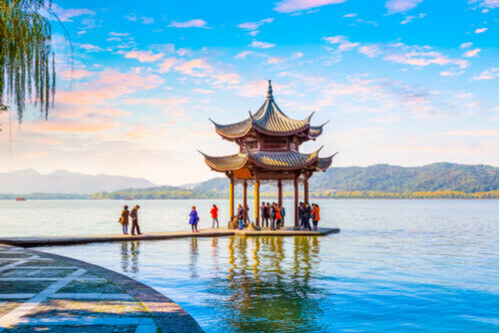 The West Lake exudes tranquility and peace, making it the perfect spot for a quiet moment away from the hustle and bustle. The freshwater lake is divided into five sections by three causeways and features all the elements of traditional Chinese horticulture, on a large scale. No matter the season, the site offers stunning scenery; summer sees the bloom of lotus flowers, while autumn transforms the green forest into a golden vista. Enveloped by mountains on three sides, the lake contains several man-made islands and is dotted with picturesque pagodas and temples. Visitors can explore the enchanting area on foot, or take a old-fashioned dragon boat ride through the waterways. It’s believed that many writers, poets and painters throughout history have been inspired by the magnificent grounds here, using them as inspiration for famous works of art. 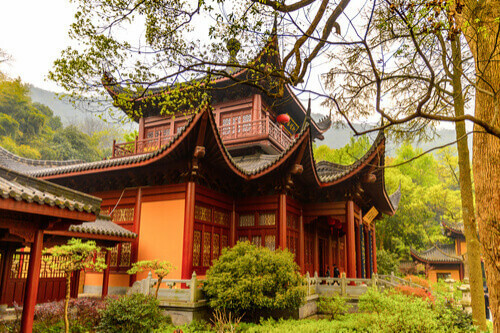 Lingyin Si (Lingyin Temple) is nestled beside a mountain within the West Lake and happens to be one of the most opulent in China. A well-known monk named Hui Li founded the temple in AD 326 and named it lingying meaning Soul Retreat because of the spiritual energy he felt. At one stage, it’s thought that 3,000 monks lived on the site. Another notable building in the West Lake area is Baochu Ta (Baochu Pagoda), which was built as a tribute to the last king of Wuyue who embarked on a trip through Central China and didn’t return. The pagoda literally translates to ‘protect Chu’ and was a place for people to gather and pray for his safety. Now back to that famous tea. No visit to Hangzhou is complete without a tour of a tea plantation. 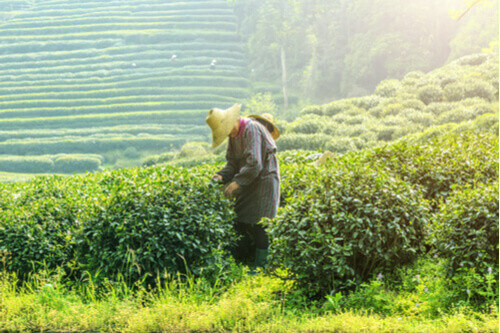 As the birthplace of the famous Chinese green tea known as Longjing or Dragon Well, Hangzhou’s plantations have flourished for centuries and today it is an important production and export base for Chinese tea. Visitors are welcome to pick their own leaves and learn the ancient art of tea-making from local experts.